Sedona introduce Aures technology in Romania, which revolutionize the field of POS with a new approach of design and technology. In stores and in the hospitable, Aures equipment is distinguished by elegance and technical possibilities above standards. Absolute novelty is the possibility to customize the colors of the entire line of equipment (touchscreen monitor, barcode reader, printer, POS) contributing to the company image. 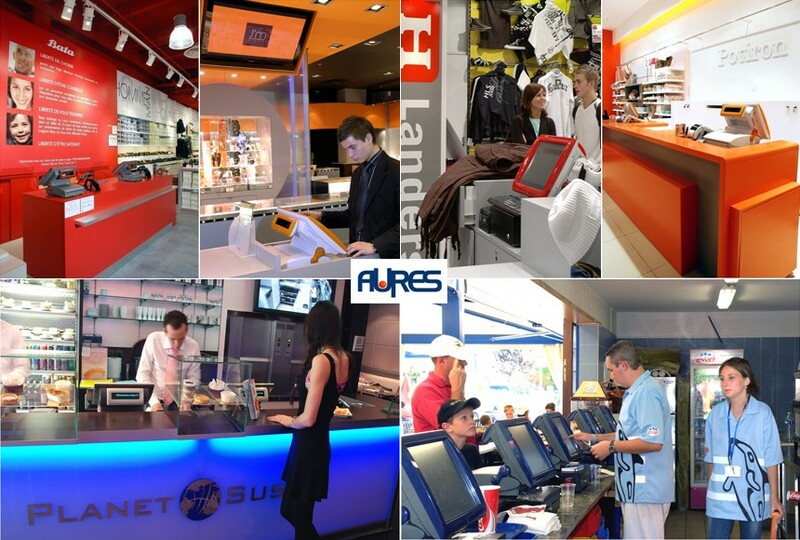 Aures Equipment offers a wide range of possibilities for customization, both in the aesthetic and technological. Technical advantages of POS's All In One related to the endowment (Intel P4 processors, data protection through RAID 0 / 1, technology and integrated WiFi RFID, low noise, etc. ), the constructive nature (very easy access for maintenance) and reliability. The reliability of these systems was tested by famous chain restaurants and retail in over 30 countries. Guarantee of 18 months and a complete range of service contracts (24h/7 interventions for quick response, complete replacement of defective equipment) are ensured in Romania by Sedona. Brochure presentation computer for retail Poseo: http://www.aparaturafiscala.ro/download_helper.php?